Calculating ROI before a PLM implementation is a major challenge for product development teams. Teams are often charged with supporting the expected benefits, but struggle to categorize and prove them. In this 2017 case study, analysts Anne Moxie and Rebecca Wetterman of Nucleus Research present their ROI analysis using actual results from STRATTEC, an automotive parts supplier for their implementation of PTC Windchill. The analysis includes both direct and indirect benefits along with costs over a three-year period. 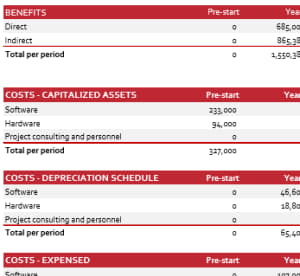 The financial calculations included show ROI, IRR, cash flow analysis, NPV and payback period. This case study will assist teams who are considering or currently implementing PLM programs in communicating with financial stakeholders. This case study is sponsored by PTC. To access your copy, please complete the form on the right.